Honey is a perfect example of why it is important to know where your food comes from. Recent news reports have stated that honey imported from China is sometimes contaminated with lead and antibiotics. And even honey that claims to be from the U.S. may not be. According to Food Safety News, more than one third of honey imported into the U.S. is likely to have been smuggled from China. This includes honey from some of the largest U.S. honey packers. To make matters worse, most honey found in stores is not really honey. It has been ultra-filtered to remove the pollen resulting in a product that isn’t actually honey. While there are safe international sources of honey, your best bet is to buy it locally. Farmers markets, natural food stores and even Whole Foods usually carry locally-sourced honey. I buy my honey from a little market near my home, and it is produced by a family that lives nearby. Because I was able to talk to the people who make my honey, I know that it is actual honey and free from toxic contaminants. In addition to being a great way to sweeten just about any food or drink, honey can be used for medicinal purposes. According to the Mayo Clinic, honey can be used as a cough suppressant, one that is as effective as over-the-counter medications. Honey can also be used to ease a sore throat, especially when combined with hot tea or lemon water. 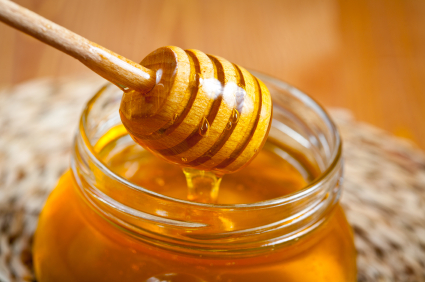 Honey has antibacterial properties and so can be used to treat minor scrapes and burns and also as an acne treatment. However, although some people believe that eating local honey can help with spring time allergies, more recent studies have found that this isn’t the case. Local, raw honey is not only antibacterial but also moisturizing so it makes a great addition to your beauty regimen. It can be used for everything from a face wash to a beauty mask. Bottom line – be choosy when buying your honey so you can make sure that what you put in and on your body is made up of the safest and most natural ingredients.